After flirting with an independent presidential candidacy in 2016 (mostly predicated on a Bernie Sanders nomination), former New York mayor Michael Bloomberg became a Democrat last year, and mulled a presidential run in 2020 as a member of the Donkey Party. Amid plentiful signs that his money and fame were not lighting up Democratic audiences, Bloomberg announced he would not, after all, spend the next several months in Iowa, New Hampshire, South Carolina, and Nevada. According to a recent Morning Consult poll of the 2020 field, Bloomberg was the favorite of 2 percent of Democratic primary voters, and just one percent in the early primary states. Eighty-six percent of Democrats had heard of him, but only 33 percent gave him a favorable rating (23 percent viewed him unfavorably — the highest of any potential candidate — and 30 percent had no opinion of him at all). 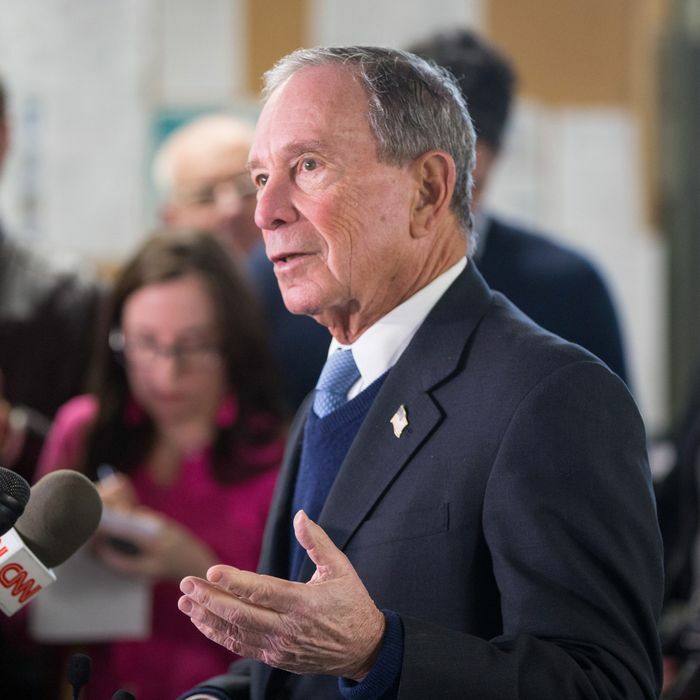 An uninhibited expenditure of Bloomberg money might have made a difference, but he would have still been a fish out of water in a national Democratic contest. His withdrawal from the race reduces the number of actual or potential white male candidates over the age of 75 (at 77 he’s a few months younger than Bernie Sanders and a few months older than Joe Biden). It will probably overshadow the parallel withdrawal from the 2020 race by Oregon senator Jeff Merkley, and may even compete in the hierarchy of headlines with the definitive denial of a 2020 candidacy by Hillary Clinton, for the benefit of the 10 or 15 people ignorant enough to think she might actually run. For the moment, the number of Democratic presidential candidates holds firm at 14.